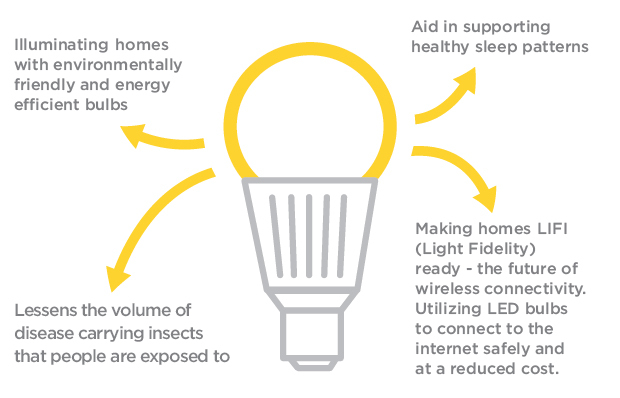 We're on a mission to create energy intelligence and help lessen the carbon footprint one LED bulb at a time. Social Impact Development. Dedicated to Change. What's NEW and NOTABLE at June Lite! MADE IN USA LED STRIP KIT FOR MAXIMUM COST-EFFECTIVE ENERGY SAVINGS. Each building that is relamped by June Lite powered by Independence LED has the opportunity to relamp another building. What is a June Lite HERO? 4 Times a Year the June Lite team highlights a person that has loved Mother Earth in a passionate and unparalleled manner. Showing us what ONE person motivated by love for our planet can do. How this one person can "rally the troops" and inspire others to embark on their life's journey being a contributor. We at June Lite take pride in choosing our June Lite heroes and bringing them to the forefront. If you know of someone that you believe could be a June Lite hero, please let us know by sending us an email at info@junelite.com. The June Lite team had the pleasure and honor of interviewing the man responsible for planting over 26 Million trees in Ethiopia. 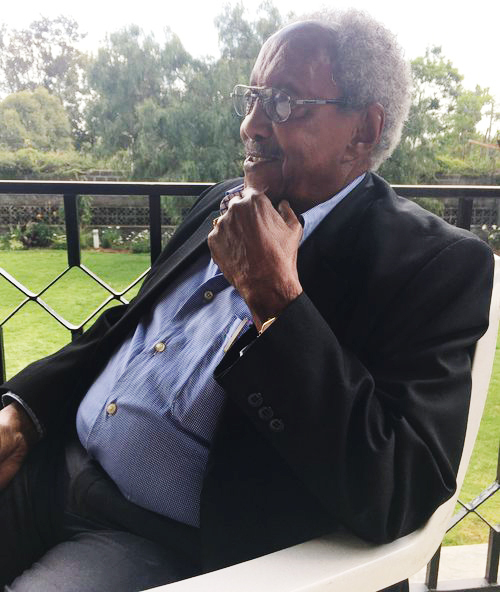 His name is Pascal Woldemariam and being an agronomist was just the beginning of his illustrious career as a champion of reforestation for a country he has the deepest love and respect for - Ethiopia. We were invited into his home in Addis Abeba and were welcomed by the warmth and grace of his beautiful wife he affectionately calls "Poupée" which means doll in French. In the 4 hours we spent with them, we learned of their love for a country that has seen it's share of strife. The beauty here is, despite the difficult times he was well aware of, he retained hope in his heart. This hope has manifested into powerful changes that he has spearheaded. He knew retirement in Ethiopia would be ideal, but he also knew "retirement" meant he would be active in another way. That other way came when he noticed the severity of the deforestation in Ethiopia. From that realization came the wonderful ideal of reforestation - Greening Ethiopia was born. For these reasons and more, we have chosen Pascal Woldemariam as our first June Lite Hero. He is a person who has used his gifts to contribute to the wealth of mother nature. He is a leader that has moved people into becoming part of the grand picture of reforestation. Women and men have been empowered, taught and motivated. We are grateful for you Pascal, "Thank You" for sharing in your calling with us all! June Lite KIND Bulbs is partnering with IndependenceLED and The First Light Project to bring LuminAID Solar Powered Lanterns to people in Puerto Rico, St. Martin, St. Croix, Berbuda, Dominica and other areas affected by the recent natural disasters. The destruction left behind by natural disasters such as hurricanes and earthquakes bring out desperate reactions and actions by people in the affected communities. Looting, pillaging, random acts of violence, hunger and thirst driven acts of theft are a reality that take foot early on after electrical connectivity is lost.